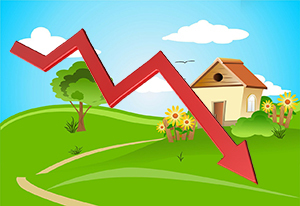 Housing Industry Association (HIA) economists believe high volumes of housing will continue through to at least 2019, in spite of a downward trend signalling the end of the most recent housing cycle. The HIA’s Housing Outlook Report states 221,500 new dwellings commenced in 2016-17. This figure is 4.5 per cent lower than the previous year, and a further fall of 10.7 per cent is predicted for 2017-18. The decline is attributed to multi-unit developments, with new construction in this sector predicted to reduce by 41 per cent. Recent newly implemented obstacles to foreign investors are also said to likely assist in a downward trend of new home construction. Despite the decrease signalling the end of a cycle, the industry remains strong with these issues somewhat counteracted by population growth, low interest rates and rising employment rates. 2016 set record levels of home construction, and while there may be reductions, the lowest point predicted for 2019 is actually higher than the previous cycles’ boom in 2010 and peak in 2015/16. Experts say the backlog created during this time ensures there will be plenty of houses built well into 2018. Ultimately, the Australian housing construction industry will remain quite healthy with the annual volume of new home construction unlikely to fall below 170,000 at any stage. The strength of the industry is evident and it’s a great time to be a part of it.